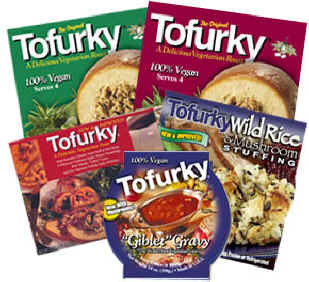 Tofurky, developed by Turtle Island Foods, has been distributed widely across the globe since 1995. Since it’s introduction to stores throughout the U.S, Tofurky has quickly become the new Thanksgiving centerpiece replacing the ‘real bird’ on dinner tables. Vegetarians and non-vegetarians alike select Tofurky as their main course because it is remarkably similar in taste, aroma, appearance and texture to a real turkey roast. Of course, the best difference is that Tofurky is bird-free, 100% vegan with zero cholesterol and reduced fat, which gives everyone a little more to be thankful for this Thanksgiving.